The real flavor of water refreshes and satisfies. But today, enjoying a drink of water may not be as simple as filling your glass from the tap. Even in approved municipal systems like San Antonio’s, the goodness of water is often blemished by minerals or chlorine taste and odor. 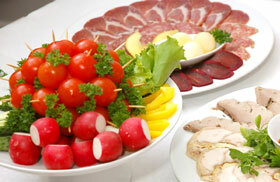 Since 70% of the human body is water, the water we drink and cook with must be of the highest quality. Don’t we all want the best for our family? A Hague Reverse Osmosis (RO) Water System is compact and connects to an attractive long-reach faucet that provides clear, good tasting water. Enjoy refreshing water and ice, and improved taste in beverages and foods prepared with Hague RO water systems for the San Antonio area. Reverse-Osmosis-Hague The osmotic process is how plants draw water from the soil. Ordinarily, water in more dilute solutions (in the soil) moves through microscopic pores in a membrane (root cells) to more concentrated solutions (plant sap). Under water line pressure the process reverses, so that water is forced through the system membrane while dissolved solids are repelled and washed away. 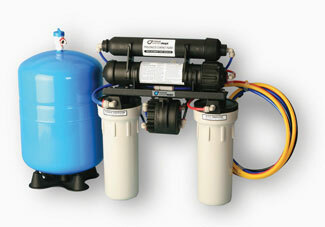 The model 2500 and 3500 reverse osmosis water systems incorporate the latest technology for increased flow rate. Now great tasting water is produced faster and more efficiently than ever! San Antonio area city and well water doesn’t have to taste bad, contact us today for your best water softener solution.